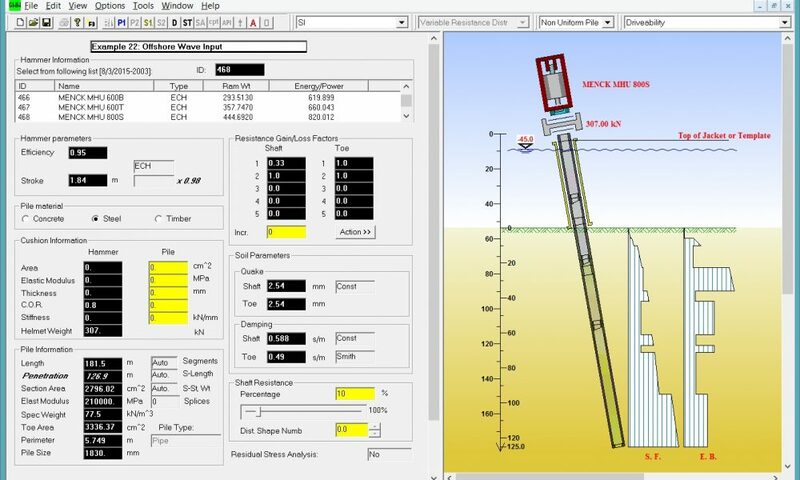 GRLWEAP is a one-dimensional Wave Equation Analysis program that simulates the pile response to pile driving equipment. 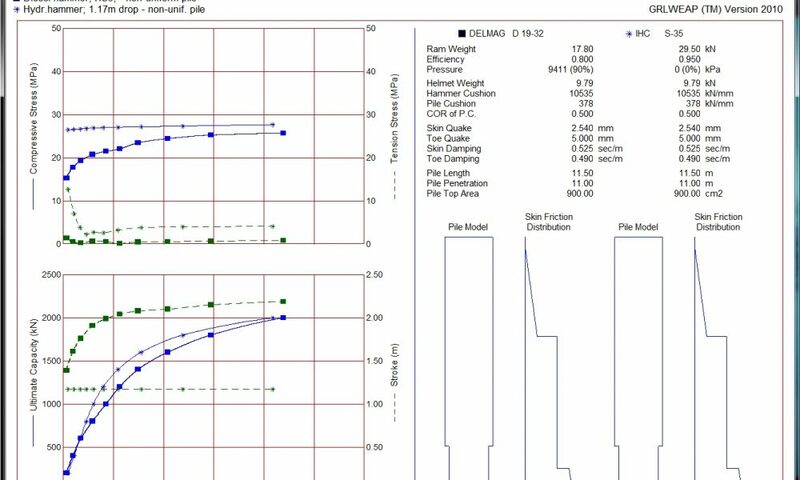 GRLWEAP predicts driving stresses, hammer performance and the relation between pile bearing capacity and net set per blow. In addition, it estimates the total driving time. 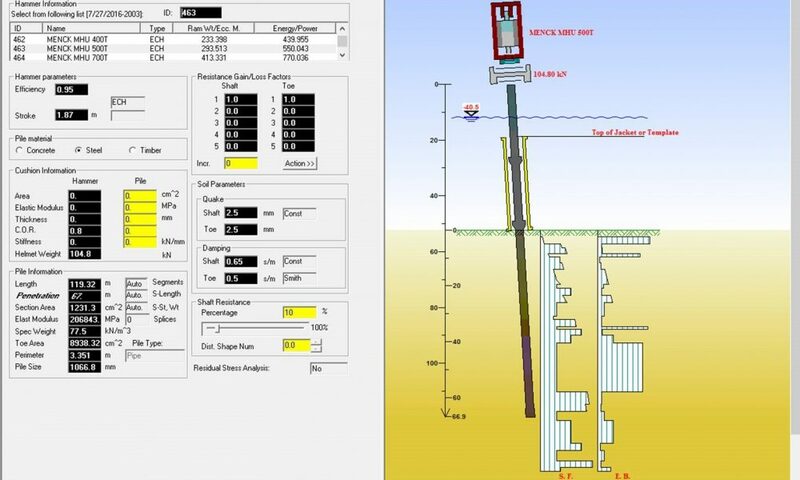 This pile simulation and analysis allows the user to investigate which hammer is likely to be sufficient and economic for a certain pile and soil condition prior to mobilizing the hammer to the job. When Wave Equation Analysis is used instead of Dynamic Formulae, several codes and standards of practice allow a leaner foundation design translating to lower factor of safety or higher resistance factor. 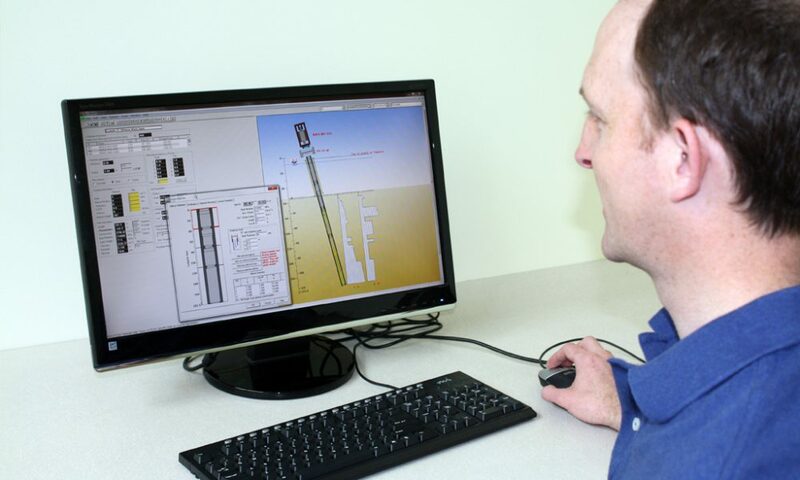 GRLWEAP 2010 includes drivability analysis, various stroke options for diesel hammers, soil sensitivity analysis, models for parallel or composite piles and four static analysis options. The analysis of battered (driven at an angle) piles has been enhanced in GRLWEAP 2010. When the angle is horizontal, GRLWEAP may be used to simulate the installation of culverts. GRLWEAP 2010 is available in Standard and Offshore Wave Versions. 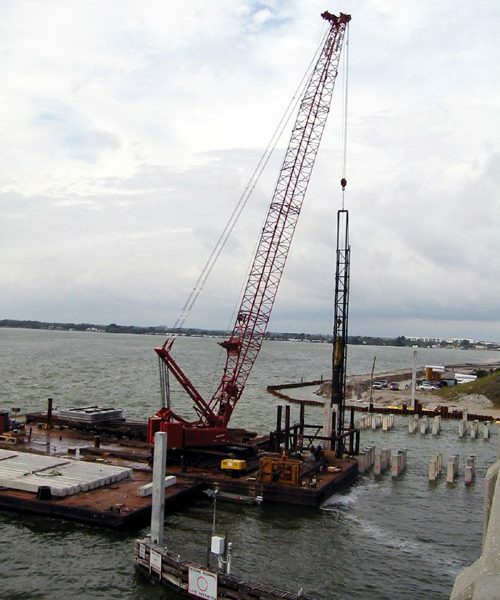 GRLWEAP Offshore Wave Version includes exclusive features designed for challenging situations (free riding hammers, nonuniform and battered piles) and special analysis options such as fatigue output tables. GRLWEAP’s user-friendly interface includes more than 900 pre-programmed hammers, extensive help, and numerous automatic features.